Are you considering a career switch to naturopathic medicine? Join the AANMC, Drs. Shehab El-Hashemy and Dohn Kruschwitz to hear about the journey two MDs chose to follow their passion and become successful naturopathic doctors. To view the archive of past webinar recordings, please click here. Shehab El-Hashemy, BSc, HBSc, MBChB, ND, MEd(cand.) is a practicing primary care physician, didactic lecturer, clinical supervisor and Dean of the College of Naturopathic Medicine at National University of Natural Medicine (NUNM) in Portland, Oregon. He is an experienced academic administrator, associate professor, as well as the author of two popular books on naturopathic and integrative primary care. 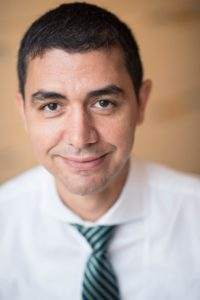 Prior to NUNM, Dr. El-Hashemy was associate dean of academic delivery at Canadian College of Naturopathic Medicine (CCNM) in Toronto, where he was responsible for establishing and maintaining academic quality standards meeting the stringent assessment of accrediting agencies and helping its students excel professionally. Dr. El-Hashemy received his Bachelor of Medicine and Bachelor of Surgery degrees from the Faculty of Medicine at Cairo University in Egypt, where he completed the core medical curriculum -MBChB I. He received his Doctor of Naturopathic Medicine degree from CCNM and completed a two-year residency program prior to his 14 years of private practice. Most recently, Dr. El-Hashemy completed a Master of Education degree in 2017 at the University of Toronto, specializing in Health Professional Education. A seasoned primary care trainer with focused expertise in pediatrics, he is the author of Family Medicine & Integrative Primary Care and Naturopathic Standards of Primary Care. Dr. El-Hashemy also served for 10 years in the Canadian Forces Navy as a commissioned officer and seaman. 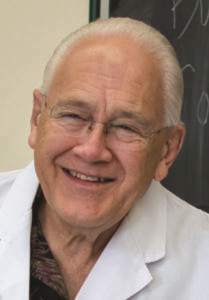 D ohn Kruschwitz, MD, ND received his conventional medical degree from the University of Iowa College of Medicine in 1966, followed by a Family Practice residency. After practicing for two years in a mission hospital in Puerto Rico, he returned to Iowa and spent the next 16 years in family practice, during which time he became interested in alternative medicine as a possible way to help patients that were not responding to conventional therapies. After practicing emergency medicine full-time in Iowa, Colorado, and Wyoming from 1986 to1995, he began studying naturopathic medicine at the National College of Natural Medicine (now NUNM). He obtained his ND degree in 1997, followed by an NUNM residency for one year. He became a full time Associate Professor of Academic and Clinical Medicine at NUNM in 1998. In addition to teaching courses in minor surgery and clinical medicine, he supervised third and fourth-year students in teaching clinics until the fall of 2015, at which time he retired from clinical practice. Since that time, he has continued at NUNM as an adjunct academic professor, teaching the Dermatology/Minor Surgery course. Dr. Kruschwitz has held the positions of Chief Medical Officer and Associate Dean of the Department of Naturopathic Medicine for many years. He was in charge of the NUNM residency program from 1997 – 2003 and was instrumental in helping the NUNM residency become the first fully accredited naturopathic program in North America. He has been a continuous member of the Oregon Board of Naturopathic Medical Examiners Formulary Committee since 1998.